The fresh water system is one of the most important aspects of any RV. After all, the ability to carry large quantities of fresh water, or draw it out of a river in order to clean dishes, etc., is one of the reasons we invest so heavily in our rigs. It’s convenient and allows us to venture into remote areas knowing we have plenty of potable water at hand. But from time to time, a rig’s fresh water system will require some troubleshooting and a small amount of maintenance. 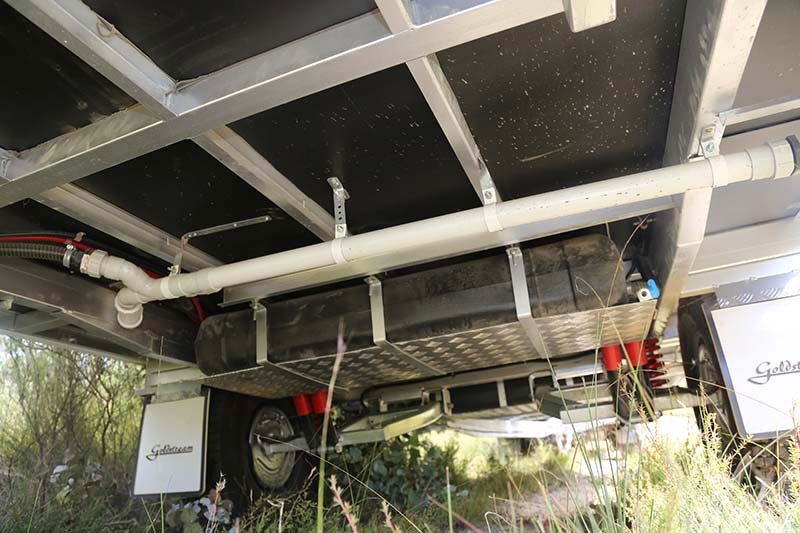 We spoke to caravan specialist Andrew Phillips of The RV Repair Centre in Bayswater North, Vic, for the lowdown on what to do if the fresh water system of your caravan, motorhome or camper trailer stops functioning properly. According to Andrew, many people assume their fresh water tanks are full (after they have ‘filled’ them with a hose) when, in fact, they are not. Sound familiar? It’s happened to all of us. This is often due to an air lock in the fresh water system. The breather hose can become blocked or kinked, preventing the trapped air within the fresh water tank to dissipate, resulting in an air lock and a tank that is difficult to fill. If a tap starts to splutter when you turn on the water pump (and the water tanks are deemed full), it might mean you have a kinked or partially blocked hose or a small leak, allowing air to enter the system between the tap and water pump, or between the water pump and water tanks. If all of this is in order, check that your 12V pump is working properly and that it is receiving enough power from the onboard battery. If twin or triple water tanks are installed, remember to ensure your link taps are open to allow water to flow to the tank that is connected to your 12V water pump. Some systems have multiple water pumps while others might only have one water pump connected to one water tank only. Get to know how your system is connected. If your RV has a hand or foot-operated water pump and you have a spluttering tap, it could be that the seals need replacing. A well-kept fresh water system will last for many years provided you perform some basic maintenance tasks. Obviously, a 12V water pump won’t work if the onboard battery is discharged, so maintaining a charged battery is the first task. But according to Andrew Phillips, RVers should also flush their rig’s water system with clean town water whenever possible after a trip, as well as before setting off on a trip if the RV hasn’t been used for many months. Seals in pressure or manual water pumps have a tendency to dry out if not used. Andrew advised that you therefore, as a preventative measure, use the water system every few months when the RV is stored. Additionally, don’t fast-fill the water tanks with high water pressure. Instead, use low pressure to enable the air within to escape through the breather hose. Just because water is flowing out the inlet when you have the hose inserted doesn’t necessarily mean the tank or tanks are full. There might be an air lock. Finally, replace the sacrificial anode found in many types of hot water heaters every 12 months. Thanks to Andrew Phillips of The RV Repair Centre for his assistance with this article.